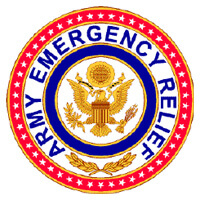 Army Emergency Relief (AER) is a private non-profit organization that has been helping soldiers for over 74 years with a wide variety of financial situations with no interest or fees. After an initial assessment, the TekSynap team built a new highly available infrastructure that protects Personally Identifiable Information (PII). TekSynap took into account AER’s requirement to receive an “Authority To Operate (ATO)” following the National Institute of Standards and Technology (NIST) Special Publication 800-53 Rev 4, Security and Privacy Controls for Federal Information Systems and Organizations along with NIST Special Publication 800-37 Rev 1, Guide for Applying the Risk Management Framework to Federal Information Systems for a Moderate system. We stood up a new infrastructure within a compressed 5-month schedule and under budget. Due to our performance on Phase I, TekSynap was awarded a Phase II extension to assist the AER IT department with projects such as their move from Alexandria to Crystal City as well as the remediation of the issues outlined in our Plan of Action and Milestones (POAM). During Phase I, TekSynap noticed that there was an issue migrating a document repository for AER’s Customer Relationship Management platform, Netforum. While the previous programming contractor wanted to charge $80,000.00 to rectify the problem, we implemented a workaround and within one week, saved our customer $80,000.00 that can be used in support of the soldiers that need the help.